As our crazy-busy lifestyles have an increasingly negative impact on our health and well-being, and more and more people are turning to meditation for relief. In addition to the mental and emotional benefits of meditation,�it has also been shown to aid anxiety, depression asthma, substance abuse, fatigue, insomnia, chronic pain and high blood pressure. Meditation works best when practiced every day and consistency is key making it vital to find a space where you can practice your meditation readily and without distraction. Wouldn�t it be incredible to have a designated space for meditation within your house where you can focus undisturbed on healing your mind, body and soul?� Such a room will allow you to escape the anxiety of your daily life and connect with a higher power.. Everyone should create a space within their homes for daily meditation and while there are no specific rules that need to be followed when creating such a space, there are a few guidelines to consider that will help you create a space with zen-like bliss. It is important to choose a space in your home that exudes positive energy and makes you feel good.� In addition to this, you also want to choose a room that is quiet and free of distractions.� Pay attention to the lighting in the room and remember that natural light has the ability to boost your mood instantly.� A room with a view of the garden or even daily sunrises and sunsets will provide added benefits to your meditation sessions. When you meditate you need to do so in a clean, uncluttered space.� You need to make sure there are a limited amount of extra items in your space that can cause distractions.� Where possible, try not to set up your meditation space in an office as the desk, papers and stressful thoughts relating to work and bills can cause a lot of unwanted distractions.� Consider emptying-out a room so that it only includes a few elements such as a small table, yoga mat and pillow. Nature is both relaxing and healing, making it an obvious addition to any meditation space. While meditation is most powerful when conducted outside it is not always possible. Consider adding certain touches of nature to your space to infuse it with balance and harmony. The elements you choose to incorporate�can range from indoor plants, jars filled with sea sand and shells, a zen garden, small water fountain or even a vase of cut flowers. Although music is not a necessity when it comes to meditation, it does boost relaxation for many individuals, especially those living in busy urban areas.� When it comes to choosing the music, try to opt for something without lyrics as these have been proven to be a distraction. �Meditative music, even when only played�softly in the background, can help drown out a lot of noisy distractions within the home. 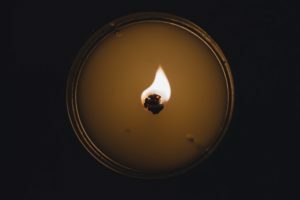 Aromatherapy is another element to consider incorporating into your meditation room.� Using essential oils from plants such as chamomile and lavender can soothe the mind, body and soul significantly.� Burning�candles made from natural ingredients like soy�or beeswax can also provide you with many aroma-therapeutic benefits while meditating. Aromatherapy not only helps you relax but is also known to boost the immune system while relieving muscles strain and reducing stress. It is important to reiterate that there are no specific rules that need to be followed when designing your meditation space. Follow your instincts and create a space that will suit your personal needs best and allow you to get the most out of your meditation sessions. Thanks for writting such a great content. This article was very helpfull, I really appreciate you for this good content. Thanks Again! Thanks for the tips. I used to think that mediating just anywhere works. But, you inevitably get distracted and your mind wanders when there’s a lot of ambient noise around you. Great article i loved it. Now a days yoga and meditation is becoming more powerful than all medicine and treatments.